In 1996, following a number of meetings, Alok Nandi looked into how to expand the effort. Meanwhile, Switchon could not put resources. So, talking to Casterman, Casterman agreed to co-produce the website through a multimedia company they just bought: Magic Square. The works on Urbicande.be were framed as “research & development“. Nandi suggested they needed to have a name for the website which was sharp and crisp, and showed the essence of the works by Schuiten-Peeters. urbicande.be was registered and the site was developed there. The domain urbicande.be was registered at October 3rd, 1996 by Casterman. .be is the Internet country code top-level domain (ccTLD) for Belgium. This top-level domain became active in 1989 and was administrated by Pierre Verbaeten of the Katholieke Universiteit Leuven. In 2000, the control of the TLD was transferred to DNS Belgium 1). 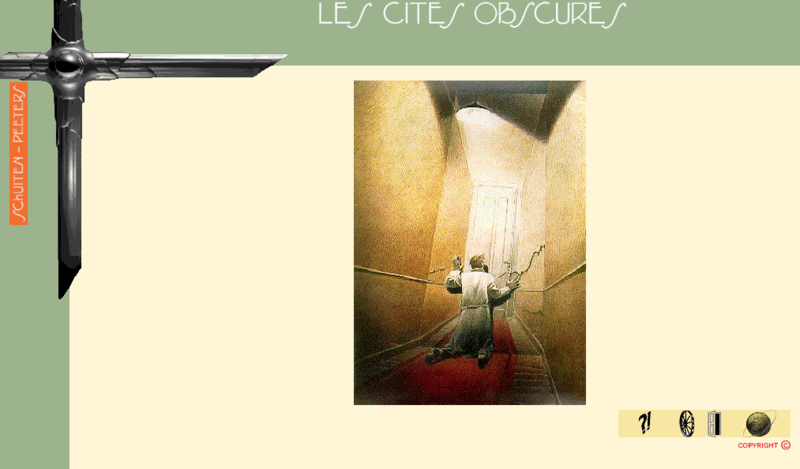 At that stage, the involvement of Schuiten was to give access to images. Schuiten and Peeters both liked the approaches and allowed Alok Nandi to do what he felt was appropriate, while sharing the work in progress. Dialogues and exchanges of view points with Schuiten and Peeters happened regularly. 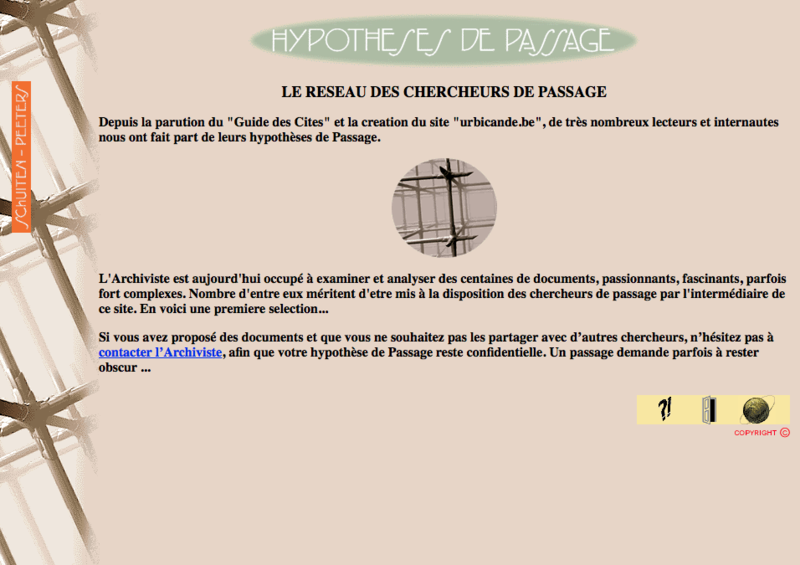 They secured some regular studio time by Magic Square and developed the site in different phases, following the evolution of the web (gif, flash, e-cards …) and organising chat sessions, and participative sessions (like for example: looking for Lieux de Passage). 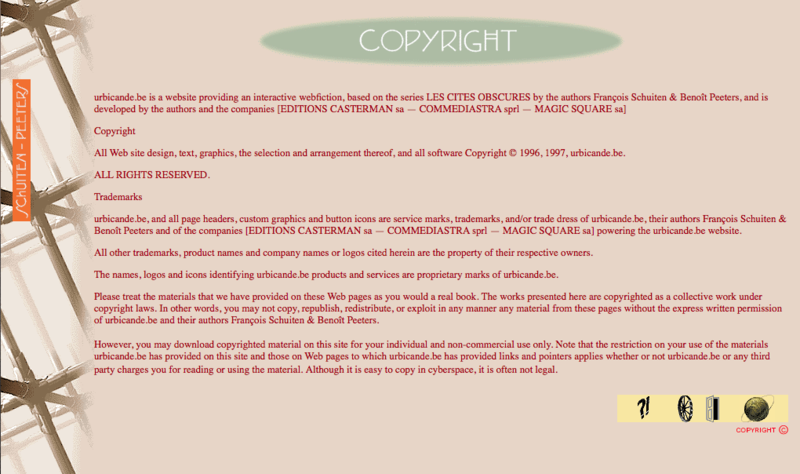 The oldest version of the website that has been archived by the Wayback Machine dates from April 1997. 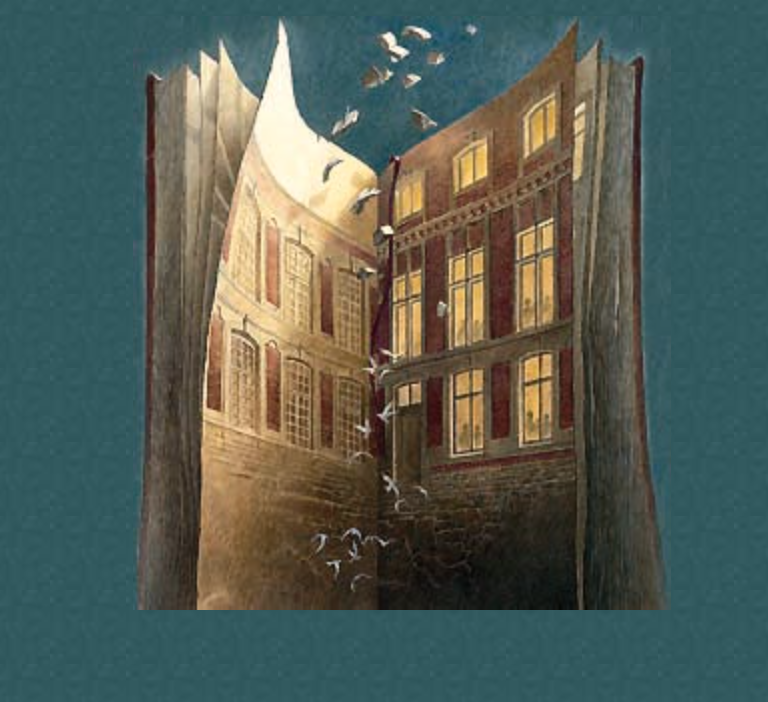 The site opens with a huge house-like book while a windy sound sets the moods. No instructions are given how to access the site. 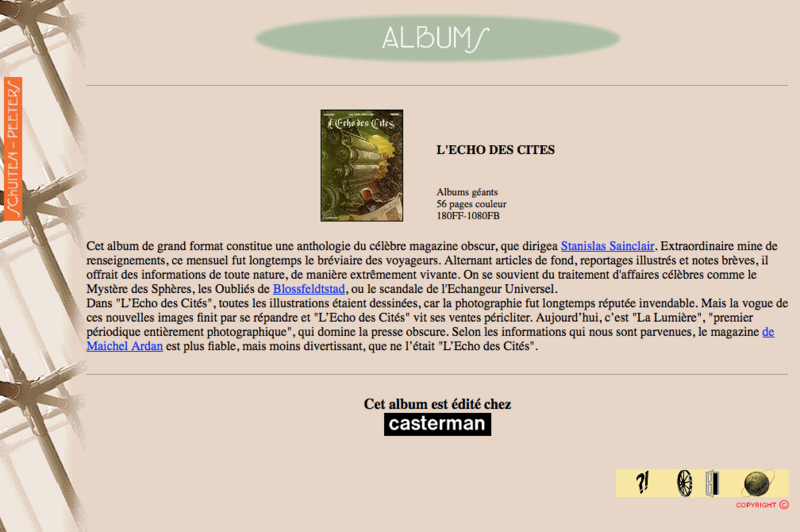 The left site of the book leads to a page in English where it provides links to the Web of the Obscure Cities, a fan website in English, Dutch and French. The right side of the books leads to the main entrance. A huge wall, with many doors. Doors open or close when to hover around. 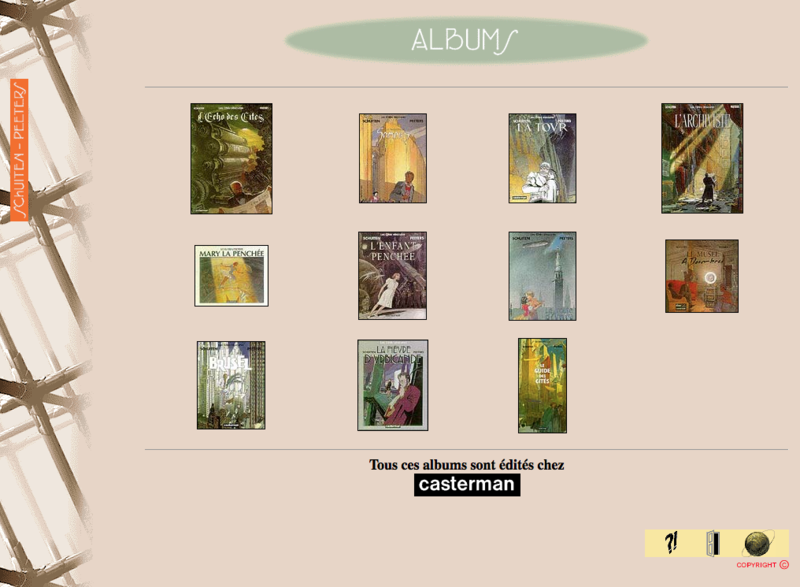 The doors lead to new parts of the website: A fixorama, a presentation of the albums and a request form to send in your ideas about passages. 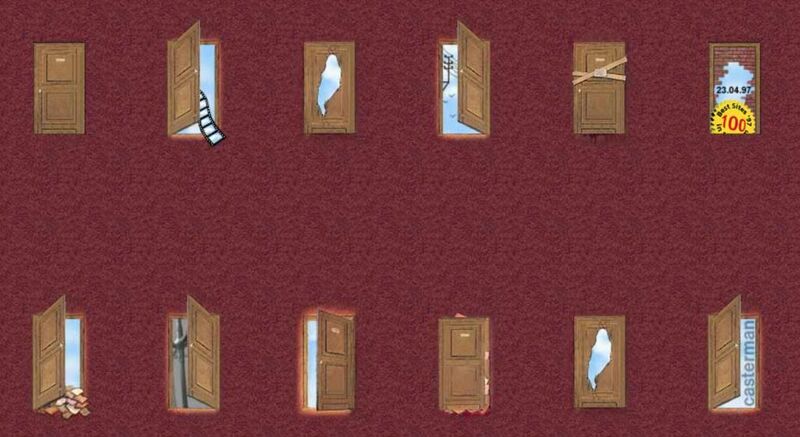 One of the doors lead to a spinning cube. 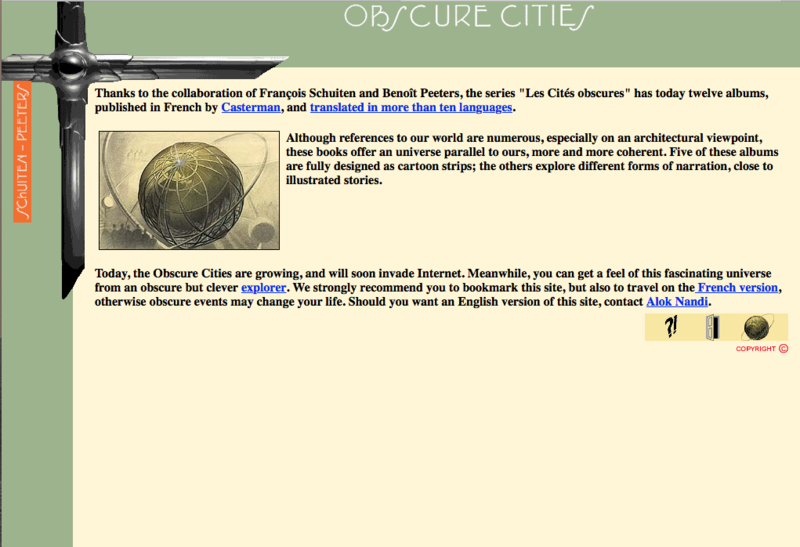 Clicking on the cube gives randomly access to several Dictionary parts of the site: persons, maps, cities, etc. The urbicande.be website was chosen in 1997 to be one of the best 100 sites in Belgium.